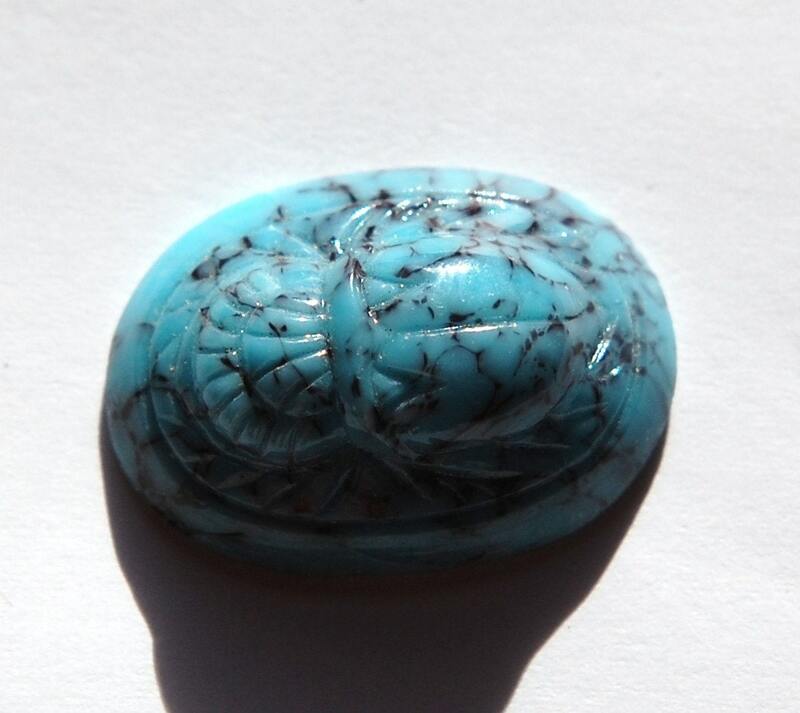 This is a vintage turquoise matrix glass scarab cabochon. 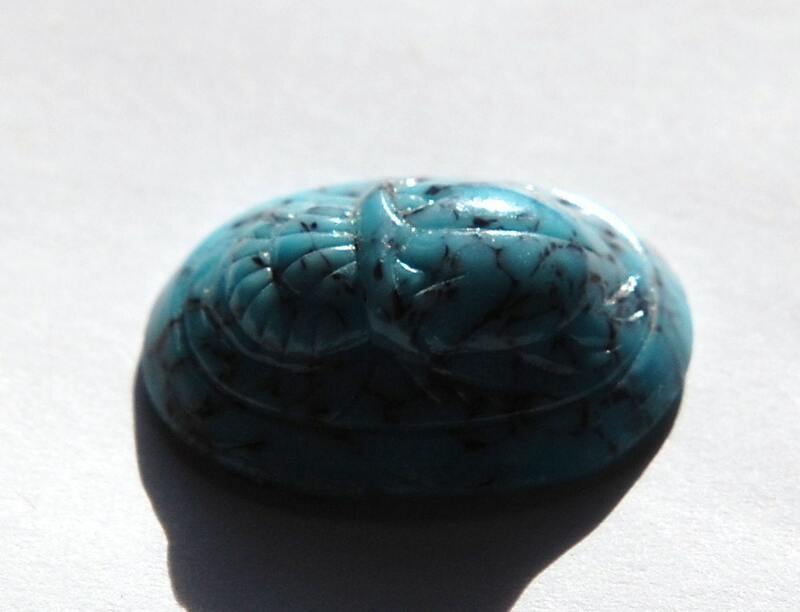 This has a smooth flat back back and an etched raised scarab on the front. The cab measures 25mm x 18mm. You will receive one piece.